Glud Open-air Museum is a small open-air museum located in a small village south east of Horsens. 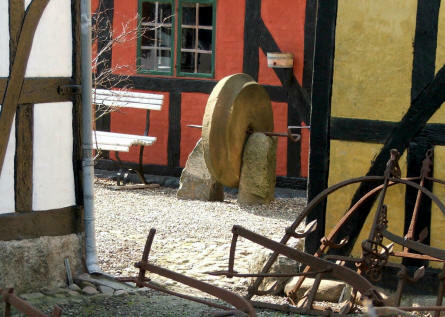 The museum show how life was from approx. 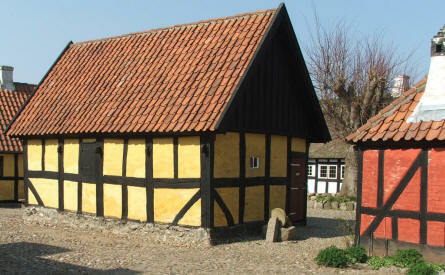 1800 to 1900. The museum is a central part of the town of Glud. 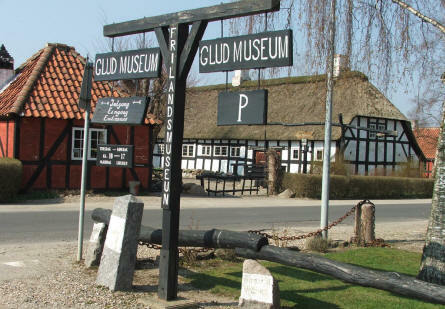 The entrance to Glud Open-air Museum. A typical house at Glud Open-air Museum. 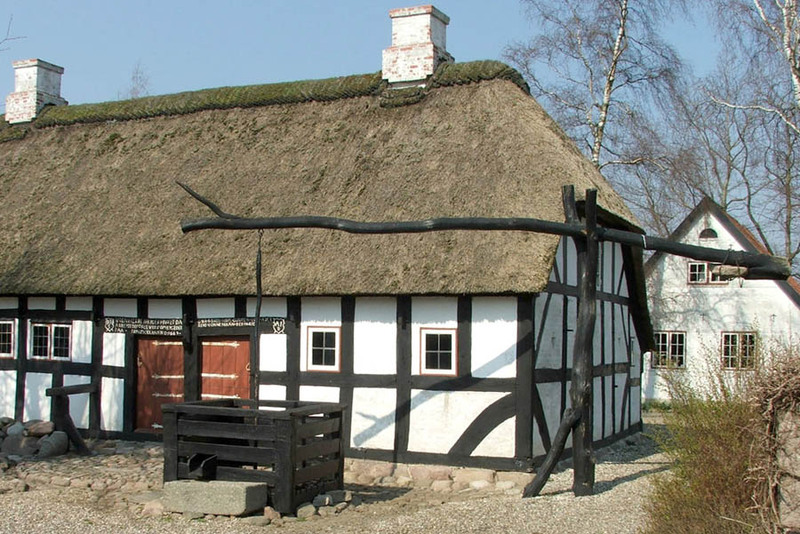 A typical house and well at Glud Open-air Museum. Old tools at Glud Open-air Museum. 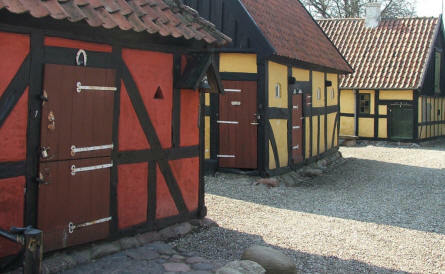 A street in Glud Open-air Museum.